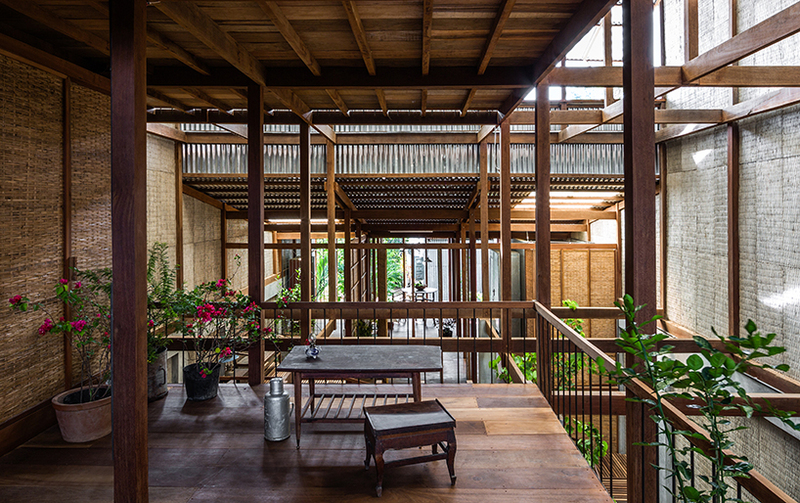 NISHIZAWAARCHITECTS is a vietnamese architecture firm led by shunri nishizawa. 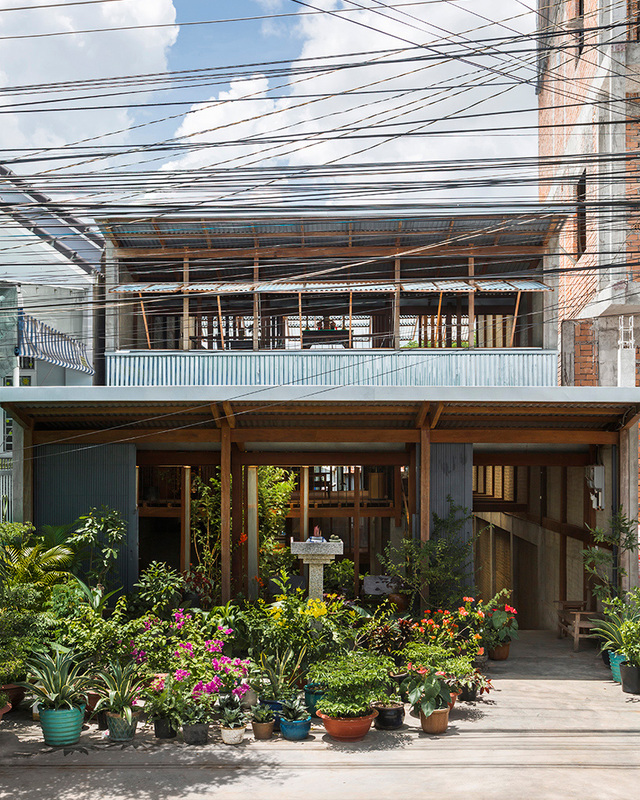 the architect founded the ho chi minh city-based practice in 2015 after working at the offices of tadao ando and vo trong nghia. 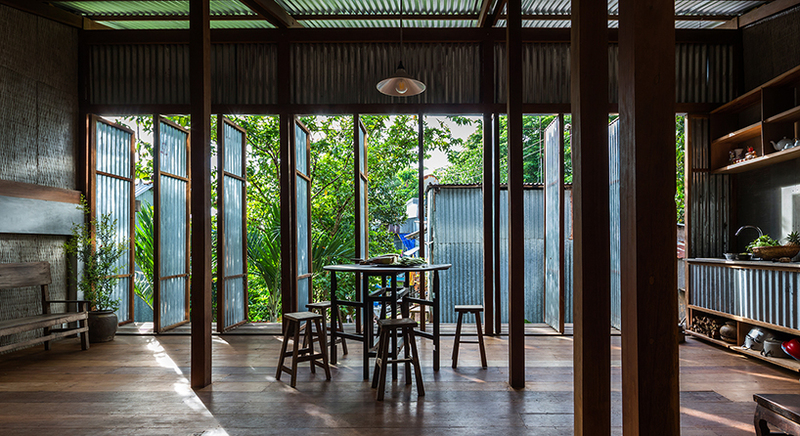 NISHIZAWAARCHITECTS has completed a shared house in vietnam’s southern an giang province, which — in accordance with local building regulations — has been constructed using sheets of corrugated metal. 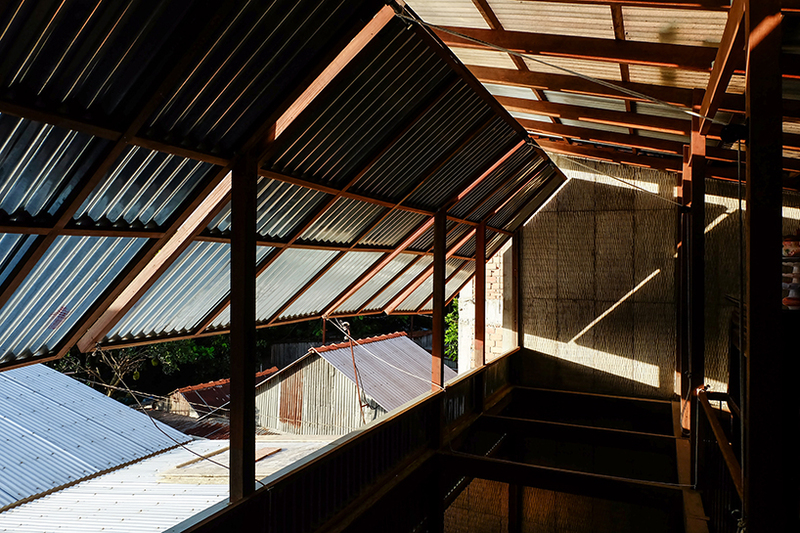 the site is located in châu đốc, a small rural town that runs along the cambodian border. 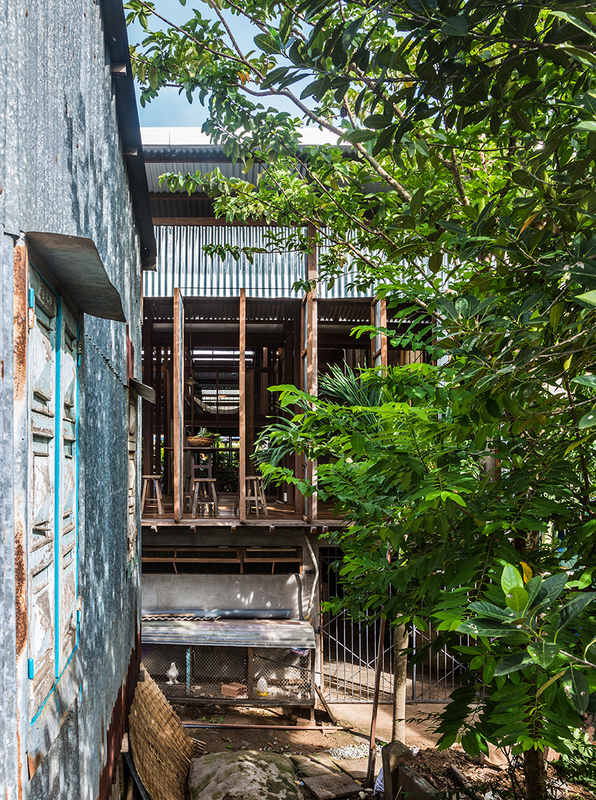 the region is populated with hundreds of floating dwellings on the river as well as houses that have been extended with the help of pilotis and small private bridges. 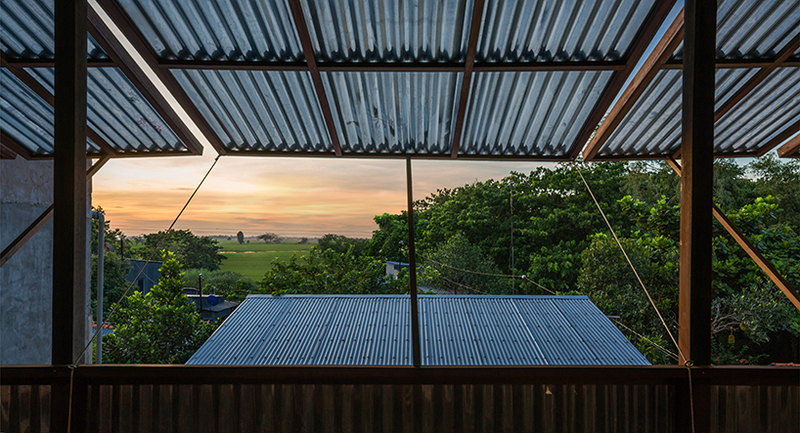 another important aspect of the site is the surrounding rice fields that stretch towards the horizon. 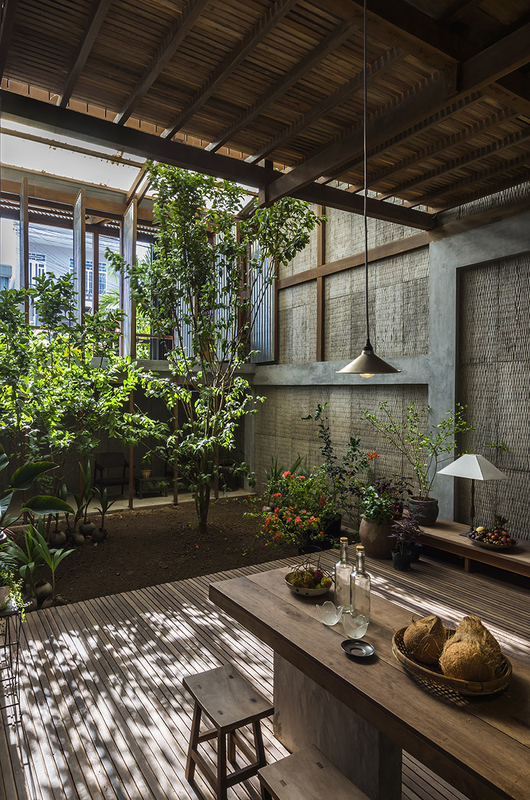 consequently, NISHIZAWAARCHITECTS sought to instill a strong sense of nature through the incorporation of sunlight, greenery, and natural ventilation. 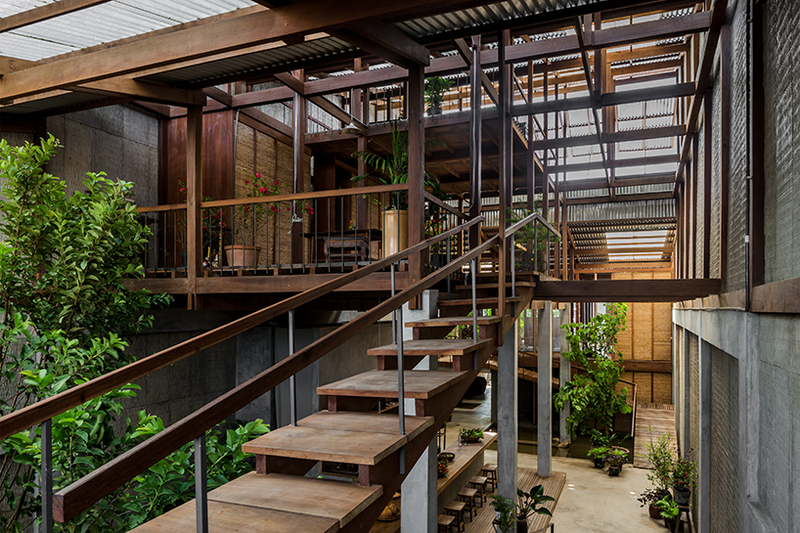 in order to develop the project further, the architects studied the way the community lives and the harsh natural environment that it has to cope with. (until concrete embankments were built relatively recently, the site would remain under water for many months of the year). ironically, although the new concrete walls now prevent flooding, the design team discovered that this had not necessarily improved residents’ quality of life. 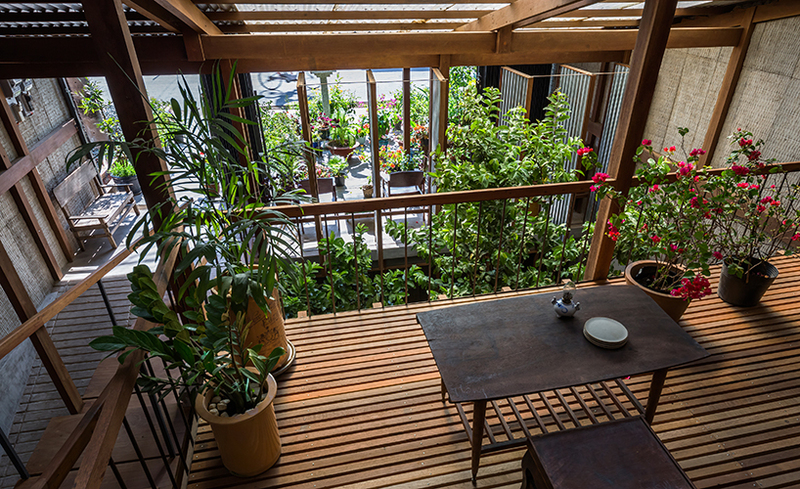 for example, the team noted that almost all inhabitants now had no use for their ground floor. 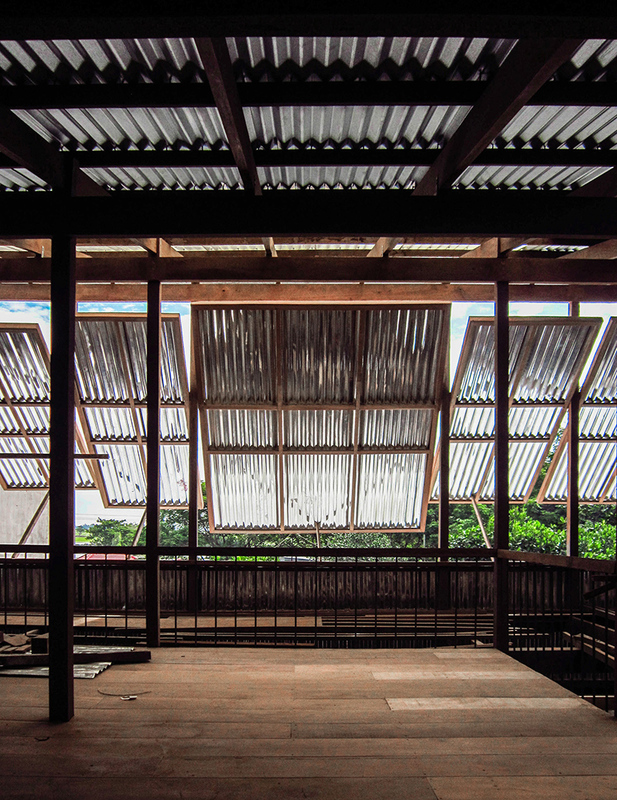 in response, the architects sought to adopt and apply regional customs while using local materials and construction methods. 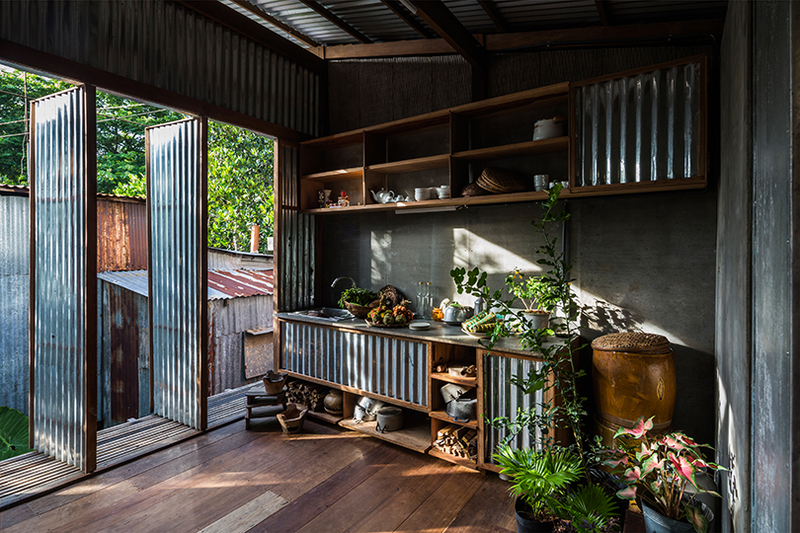 importantly, a new butterfly-roof opens the interior of the house to the surrounding environment, while rotating corrugated metal panels allow residents to adjust the amount of light and ventilation that enters the home. 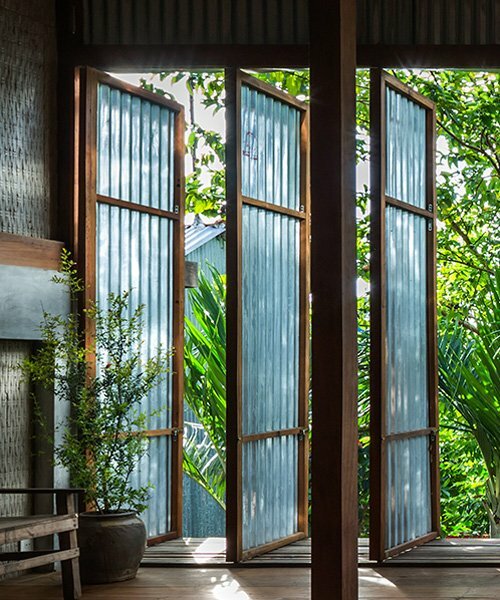 meanwhile, in place of solid walls, movable partitions create one large space that can be occupied in a variety of different ways. 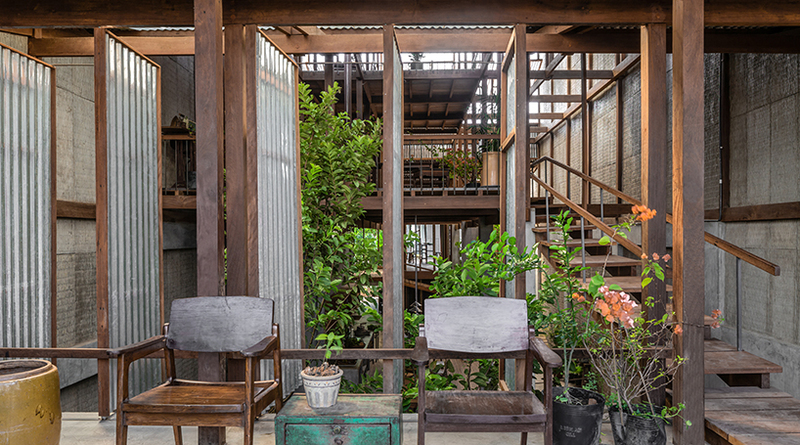 a shared communal level is positioned at ground level, with more private spaces are found on the upper floors.